MANHATTAN — Having stellar credit is one of the best ways to get a leg up in New York City’s competitive rental market. Of course, Craigslist has plenty of ads from people looking for roommates. But there are also strategies to get your own lease — as long as you’re up-front about your situation, brokers say. A score of 720 or higher is generally considered good credit, according to experts. For New York City residents, the average credit score is 693 (and the average debt is $27,378), according to recent data from Experian. Before starting your apartment search, you should pull your credit report to know where you stand, advised Gary Malin, president of Citi Habitats. "A lot of times there are mistakes," he said, explaining that sometimes people find the credit problems of others erroneously tacked onto their reports. These inaccuracies can be fixed — though it may take some time, which is why this is the most important first step. Anyone is entitled to a free credit report each year from one of the major bureaus, like Equifax, Transunion or Experian, through www.annualcreditreport.com. 2. Be honest about your credit history. 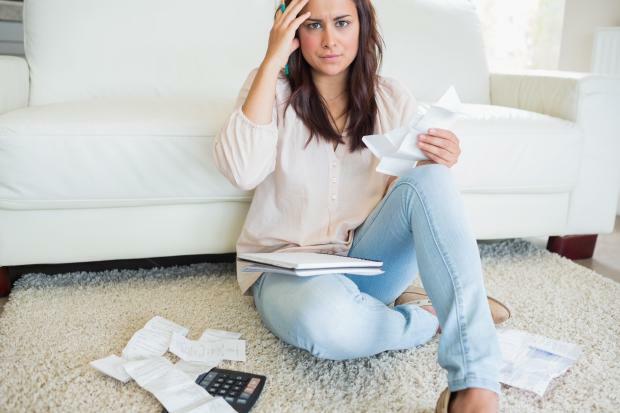 If you have bad credit, there's no way to hide it. So, rather than waste a broker's time by keeping silent, enlist the broker to help, Malin said. "Understandably, it is embarrassing to many people," he said. "But they don't understand it all comes out in the wash. Landlords do a credit history. As a broker, you know which landlords are more lenient." There are plenty of building owners, for example, who might be sympathetic to would-be renters whose credit scores plummeted after a death or divorce, Malin said. "But if you tell them after the fact, they'll be less likely to work with you," he said. 3. Cash is still king. If you have bad credit but wads of cash, you might be able to convince a landlord to take a chance by putting more money down. This is often the simplest way around a bad credit score, said Balonek, who works with a lot of college students who either don’t have any credit history or the little credit history they do have is in student loan debt. He’s often able to work around this by having the students pay an extra month security. One student paid six months upfront and then another six months once he got his loan payment. 4. Get a guarantor to co-sign the lease. Have a guarantor — usually a family member — go to bat for you and co-sign the lease, brokers advise. Guarantors are on the hook if you can't pay your rent. However, not only do guarantors need good credit, they also need good incomes, and often they need to live in-state, Balonek said. Landlords typically require renters to have annual incomes that are 40 times the amount of monthly rent. But if someone doesn’t earn enough — or has bad credit — then you need a guarantor and that person must make 75 to 80 times the monthly rent, Balonek noted. The least expensive apartment he rented out in 2013 was $1,250 a month, which required a guarantor earning $100,000 a year, he said. 5. Find small, independent landlords rather than big companies. Smaller landlords tend to be concerned about who their tenants are and whether they’re responsible. Larger landlords, on the other hand, look mainly at the numbers: income and credit scores. 6. Get a letter from your previous landlord, plus other references. Building owners want to know that you can — and will — pay your rent on time. A letter from your previous landlord attesting to this can go a long way, brokers said. And sometimes it can help by going a step farther. He had them assemble a portfolio of glowing recommendation letters from essentially everyone they ever lived with and worked for. 7. Look for something cheaper than what you can afford. Though the couple Balonek recently worked with could have afforded $3,000 a month in rent, Balonek recommended they look for something that cost less, which he thought boosted their odds. Instead of finding a place where you make 40 times the monthly rent, opt for an apartment where you make, for example, 75 times the monthly rent, so the landlord can see you’ll have a cushion, Balonek advised. This might mean looking in a neighborhood you hadn’t considered or opting for a walk-up instead of an elevator building. 8. If all else fails, consider subletting. Roughly 90 percent of the would-be renters who come to Balonek end up subletting, he said.